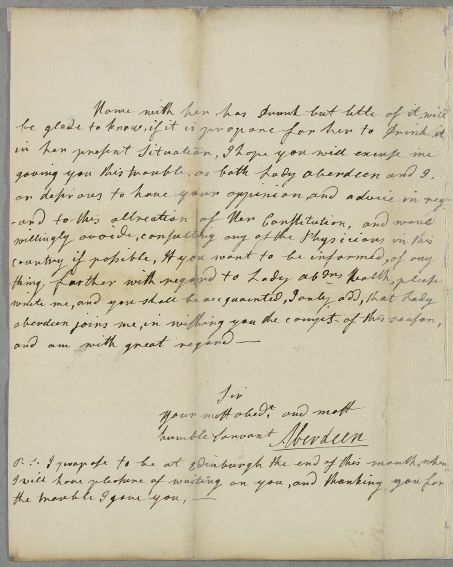 Letter from Lord Aberdeen regarding the case of Lady Aberdeen. 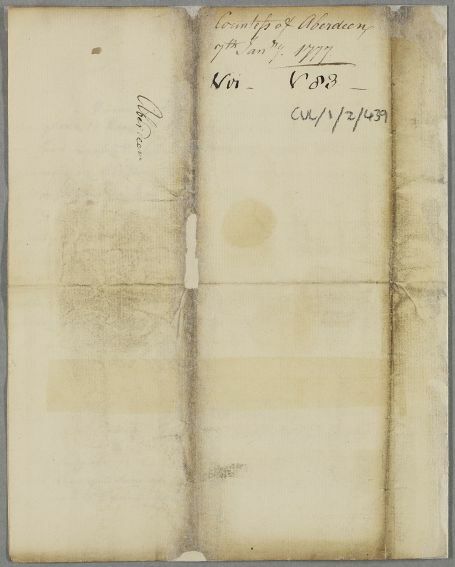 (Date at the beginning of the letter states 8th, but the date in the annotation is 7th.). 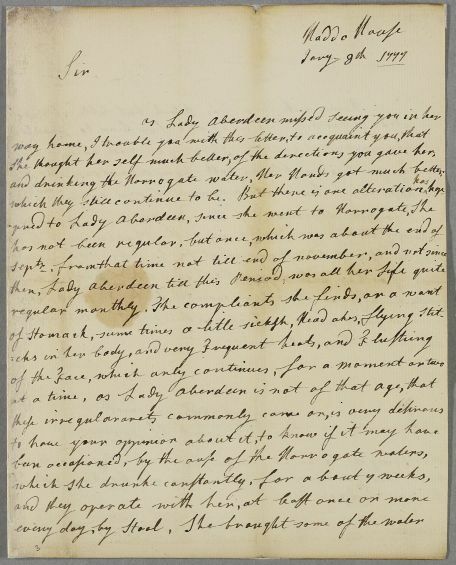 Summary Letter from Lord Aberdeen regarding the case of Lady Aberdeen. (Date at the beginning of the letter states 8th, but the date in the annotation is 7th.). gaving you this trouble, as both Lady Aberdeen and I. 1: This obscure cross-reference, which does not match any obvious related casebook enter, is probably a later addition.